A winter holiday in Haus im Ennstal is an adventure not only for ski-experts, but also for families and pleasure-seekers. 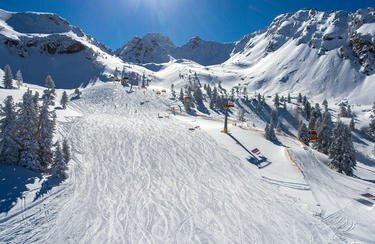 Whether on the vast carving slopes, the beautiful ski runs or on the challenging mogul pistes – ski-fans get their money’s worth at the Hauser Kaibling ski resort. 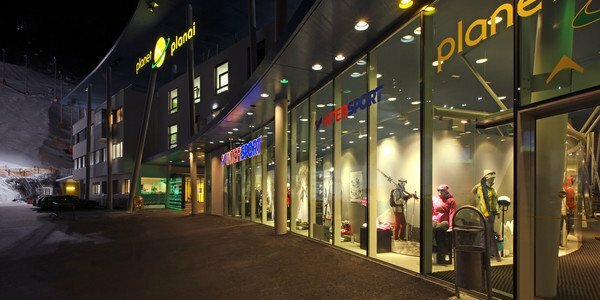 Of course, you’ll find the perfect equipment for your holiday in Haus at the INTESRSPORT Rent ski rental shop in Schladming. 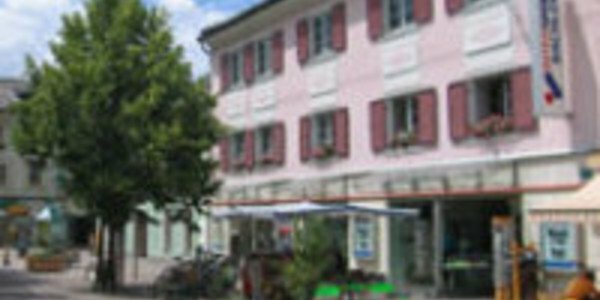 As the Eastern access point into the Schladming 4-mountain-ski area, Haus im Ennstal is the perfect base camp for your holiday. With sufficient parking directly at the Valley Terminal for the 8-seater gondola, you can easily get from your car, into your boots and up the mountain for a day on the slopes. Of course, the internationally renowned “Ski Area Check 2009/10” winner has even more up its sleeve: whether ski-expert or beginner – perfectly groomed runs, challenging mogul pistes, beautiful powder slopes and the stunning ski route on the Hauser Kaibling Eastern slope lets the heart of every winter sports enthusiast sing. You’ll find the proper equipment for every skiing adventure in Haus at the INTERSRPORT Rent ski rental shop in Schladming.